I recently acquired this classic album on vinyl and it is a welcomed walk down memory lane. Origin of Symmetry is a powerful statement by a band that, at the time, was relatively new and still finding their way. Muse packed musicianship, vocal ability, heavy riffage and melodic tunes into their second album, making it stand out as an essential album of the early 21st Century. Before I even put Origin of Symmetry on the turntable, the cover and the inserts intrigued me. 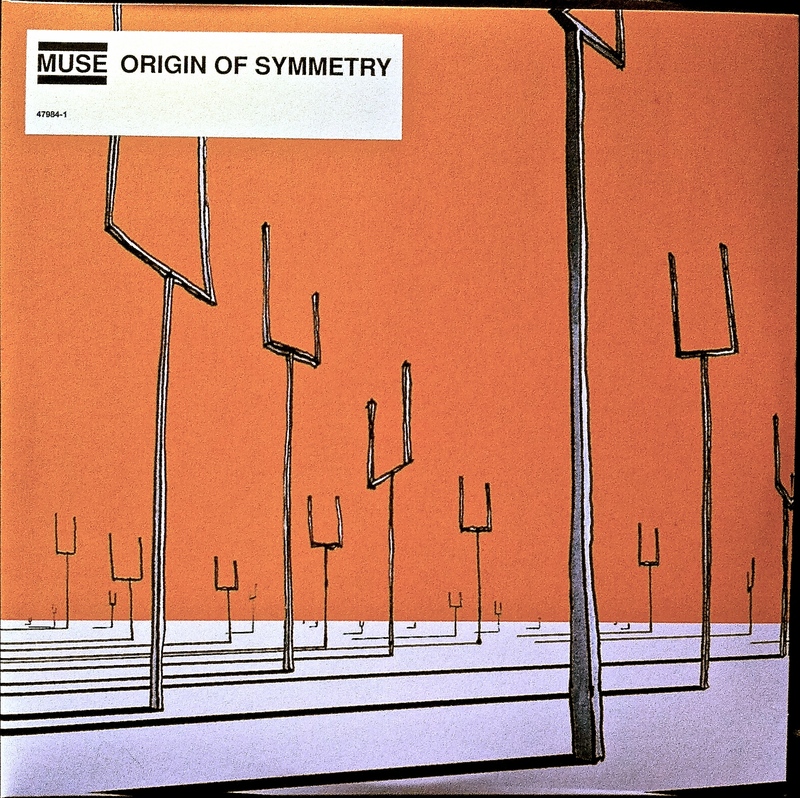 Opening the gate-fold of the double LP, artworks by various artists litter the housing all titled ‘Origin of Symmetry’. 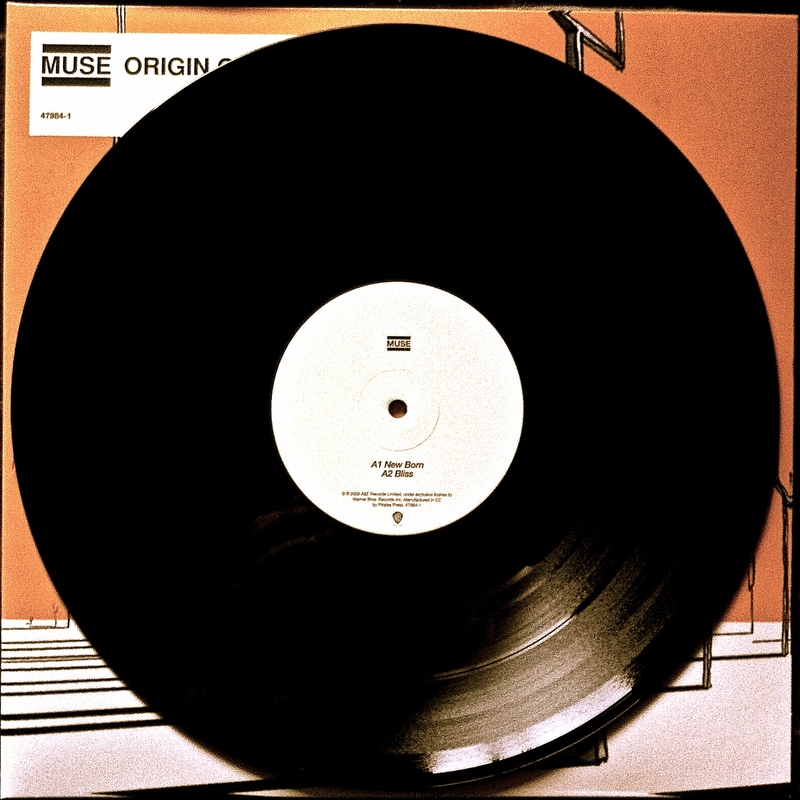 This imaginative idea compliments the album making even the cover exciting and unique, which is exactly what Muse is, this is further outlined in the music. The first track ‘New Born’ kicks off the album with a hypnotic piano riff provided by Matthew Bellamy, then Christopher Wolstenholme’s fuzzy bass further adds to the repetitive nature. This fuzzy bass tone is prominent throughout the album forming what would be a signature Muse feature. 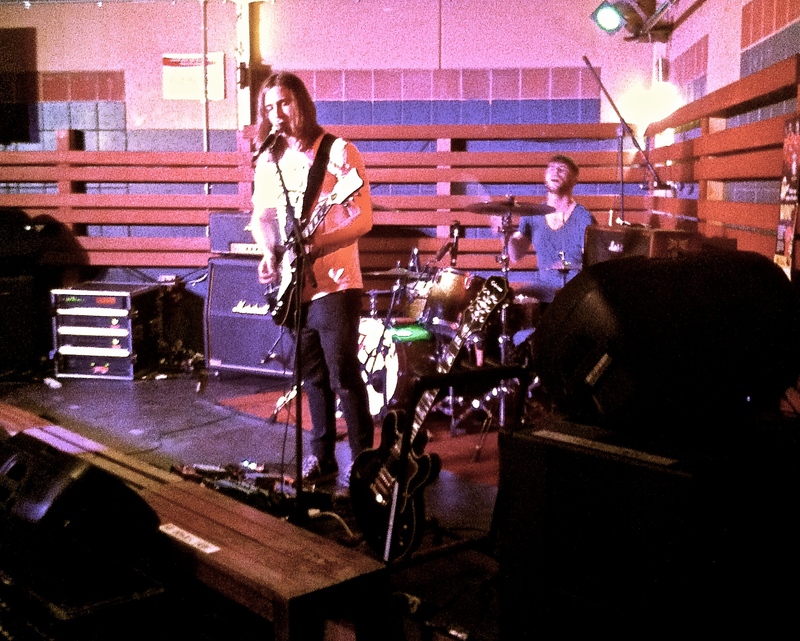 Dominic Howard enters on the drums and Muse is in full swing, smashing out a viscous lick. The riff game is strong throughout Origin of Symmetry showing a heavier, rock influence that Muse possesses. An absolute highlight of the entire album is the haunting and memorable vocal performance by Bellamy. With such a unique and intense voice, it catches the ear from the outset. As one gets further into the album, the appreciation for his musicianship and ability is easily recognized. Bellamy’s vocals come to a head in ‘Micro Cuts’, his falsetto is commanding and psychotic. 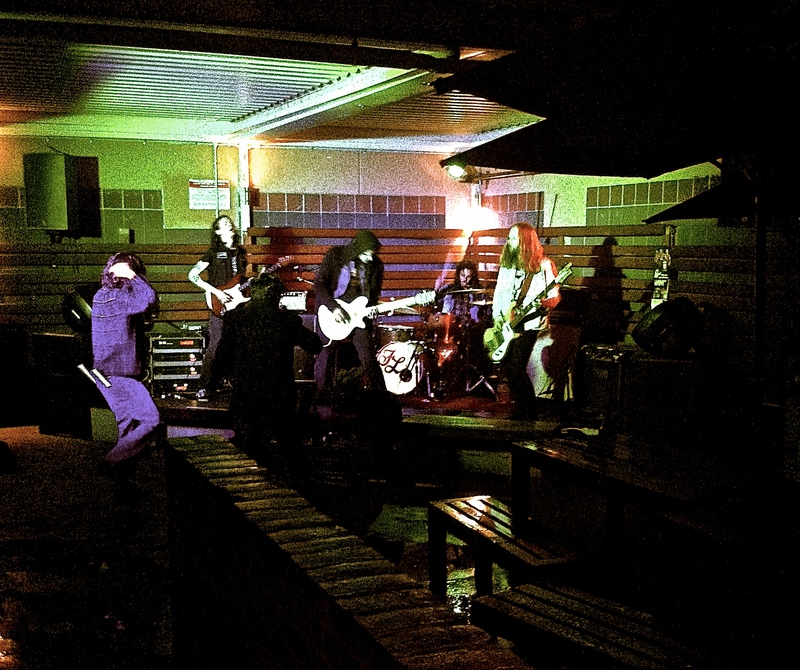 The delivery is fitting and appropriate given the lyrical themes are dark, deep and haunting. As I put the second LP on the record player, I prepared for ‘Citizen Erased’, which is an epic Muse creation starting heavy and riff based, then delving into different territory. The use of effects and spacey keyboards add texture and depth to this bold musical creation. This song in particular indicates the sound Muse had started to develop, which was a sophisticated and larger scale of composition. Almost closing the album is a tremendous, and now famous, cover of ‘Feeling Good’ composed originally by Leslie Bricusse and Anthony Newley. This is a new take on an old classic and is done with such taste and understanding, again showcasing Bellamy’s trained vocals. Every time I hear this ‘Feeling Good’ rendition I think back to when I saw Muse at the Adelaide Entertainment Centre in 2007, for the Black Holes and Revelations Tour. In the third verse Bellamy sang through a megaphone to get the same tone that had been captured on the recording. This is the magnificence of this album; most songs lend themselves to a live environment with ease. I can picture songs like ‘Hyper Music’, ‘Plug In Baby’ and ‘Bliss’ being performed live and an audience going crazy, just by listening to the record. This live nature is truly magical considering the album was produced in 2001, and is an indication of an incredible band. Origin of Symmetry is a dark and beautiful album by one of the greatest bands of the past 15 years. Each song flows into each other making a tremendous record full of exciting and unique characteristics that is only Muse. With originality at the forefront, take a journey back to the beginnings of Muse for the love of music, and discover why they have become one of the biggest bands in the world.